Start the year with a "spritz"
A spritz is an alcoholic aperitif that is widely consumed in northern Italy. 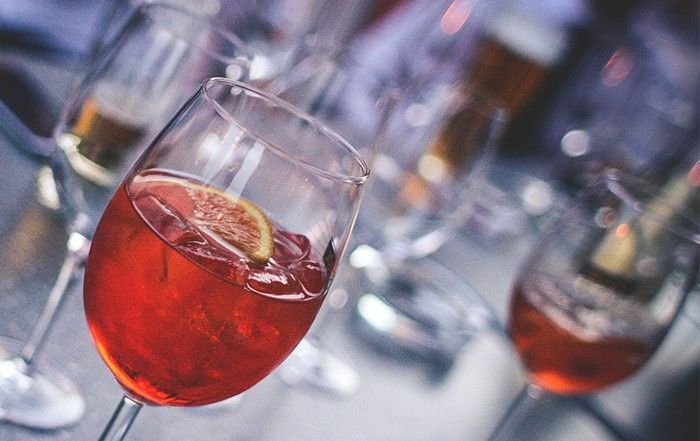 Originating in Venice during the Austrian Empire in the early 18th century, the spritz was the drink of choice for soldiers who couldn’t stomach the high alcohol content of local wines. So they topped up these wines with sparkling water (seltzer). In fact the name comes from the German verb “spritzen” which means “inject” (carbon dioxide). With time, people started adding a dash of colour and taste to the spritz, by mixing it with a red alcoholic drink, most often Aperol (for a sweet and orange tinge) or Campari (for a more bitter and reddish tinge). The important thing is to obtain a rich colour and an alcohol gradation of about 8 percent. The good news is that Aperol is now readily available at most liquor stores across Canada! So, kick-start this New Year the Venetian way with a glass of “spritz”. Originally published in the Journal de Montréal on January 7, 2012.